WASHINGTON (CN) – In a case that could lead to a trademark reckoning for the Washington Redskins, the Asian-American rock band The Slants will defend their name Wednesday before the Supreme Court. Tam applied for federal trademark registration for The Slants in 2011, but the Patent and Trademark Office denied his application based on a clause in the Lanham Act that says the government cannot register a trademark that “may disparage” a group of people. At the surface, a ruling in favor of Tam could clear the path for other, similar marks receiving federal trademark recognition, most notably the Washington Redskins, which lost six trademarks in 2014 because the word “redskins” is disparaging to Native Americans. The Supreme Court is scheduled to hear oral arguments in the case Wednesday morning. Some proponents of the current law warn this could mean a flood of offensive trademarks rushing out of the PTO. “I think you’re going to see a huge uptick in that kind of behavior,” Roger Schechter of George Washington University said in an interview. The law professor is one of dozens who signed a November amicus brief supporting the government. “And it’s, at least in my personal opinion, not what we as a society need right this minute,” Schechter added. U.S. Solicitor General Donald Verrilli petitioned the Supreme Court for certiorari after the en banc Federal Circuit ruled that the so-called disparagement clause unconstitutionally discriminates based on the viewpoint of the person applying for the trademark registration. Verrilli noted that Tam does not need federal trademark recognition to use the name or even to take legal action if other groups call themselves something similar. “Just as an artist denied federal arts funding could create as much excrement-smeared art as he wished without federal assistance … a person who is unable to register an offensive racial slur with the PTO may continue to use that term, as an unregistered trademark or otherwise,” the petition says. Defending the rule as viewpoint-neutral, Verrilli noted that it does not matter what group a phrase disparages or whether the person filing for the trademark means to disparage it. Any message that could reasonably offend a group of people is not allowed to receive federal trademark recognition, which the government argues should insulate its case from the strict scrutiny the court applies to viewpoint-based discrimination. “When one person receives a government subsidy and another does not, the first person may be comparatively better off than the second, but the second has not been burdened by the government,” the brief says. Distinguishing their case from the court-sanctioned prohibition of abortion services relying on federal funds, however, attorneys for Tam noted in an opposition brief that trademark holders receive no money. “A law that burdened any speech critical of anyone would be a frightening prospect, precisely because it would amount to viewpoint discrimination on a massive scale,” according to the brief, signed by attorneys with the firm Archer & Greiner and with the UCLA School of Law Supreme Court Clinic. Federal recognition gives the trademark holder an official government certificate and publication of the name in a federal registry. Verrilli noted that the registration of offensive trademarks would force the government to start listing “repellant racial slurs and white-supremacist slogans” on official documents. “The First Amendment does not require the federal government to assist those who wish to sell products or services using racial slurs, religious insults or other disparaging marks,” the petition. Unlike Walker, and unlike with offensive license plates, Tam’s attorneys say trademarks do not communicate messages from the government. They also characterized the law as vague and inconsistently enforced, chilling speech that the government deems offensive. Tam’s backers say leaving the rule in place could raise serious questions about where the government’s ability to restrict disparaging messages ends. Other case watchers note that the case could shake up some of the more intricate areas of trademark law, such as a prohibition on registering marks that include the flags of foreign countries. “I think that if the Supreme Court were to follow the logic of the Federal Circuit it would have a very significant uphill battle to distinguish this provision from a whole bunch of other provisions in the Lanham Act and that could cause really substantial ripple effects,” Mark McKenna, an associate dean at Notre Dame Law School, noted in an interview. McKenna joined the same amicus brief as Schechter. Another professor watching the case, Lisa Ramsey of the University of San Diego School of Law, noted that the court could yet punt on deciding the constitutionality of the disparagement clause. 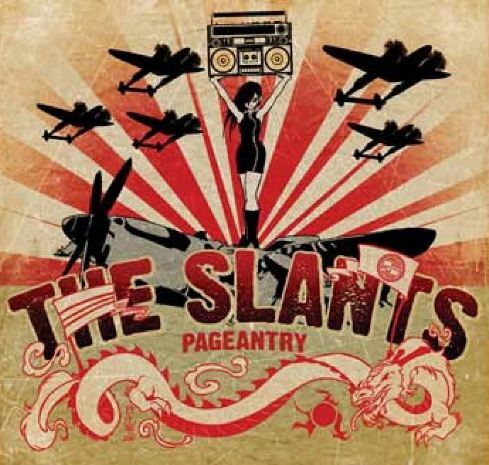 The justices could simply find that The Slants is not a disparaging term as defined in the Lanham Act, Ramsey noted.